Saul Serrano is the current Coordinator for the South Coast Task Force on Youth Safety, a regional collaboration administered by Community Action Commission (CAC) of Santa Barbara County. He is in charge of bringing together public and private agencies and stakeholders in order to decrease youth gang violence within the County’s South Coast. Previously, Mr. Serrano spent over ten years as a case manager and health educator for the Los Compadres Program at CAC, which targets youth involved with gangs, in the juvenile justice system, or having substance abuse issues. 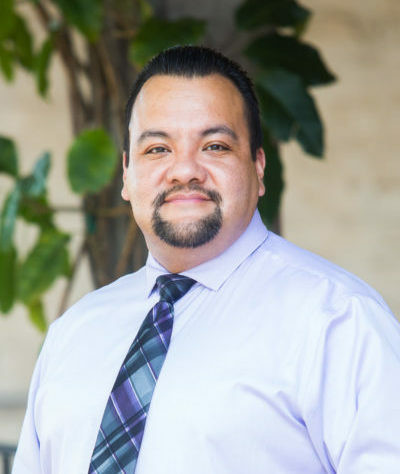 Mr. Serrano attended UC Santa Barbara, where he earned a Bachelor of Arts in Sociology. He was a participant of the first Emerging Leaders cohort from Leading from Within. For the past four years he has served on the board for La Casa de La Raza, which offers access to cultural events, education, and access to resources for the Latino Community of Santa Barbara. Mr. Serrano was a past participant of the Future Leaders of America youth camp in Santa Barbara and volunteers in the program in order to help foster the next generation of Latino youth leaders.